The Supernova Micro 30W LED lamp is a very flexible and general-purpose video lamp. It produces about 3000 lumens of light. The Supernova Micro can be purchased with different battery canister options. There is available a special 97Wh Lithium Ion battery canister that fits the new strict flight regulation rules of commercial airplanes. You get more than two hours burntime with this canister. With larger canisters you can get up to 10 hours of burntime. SKU: NSN30. Category: Underwater Video Lights. The Supernova Micro 30W LED light is a flexible and general-purpose video light. It can be used both on camera and off camera and various combinations thereof. The light emits a total of about 3000 lumens. 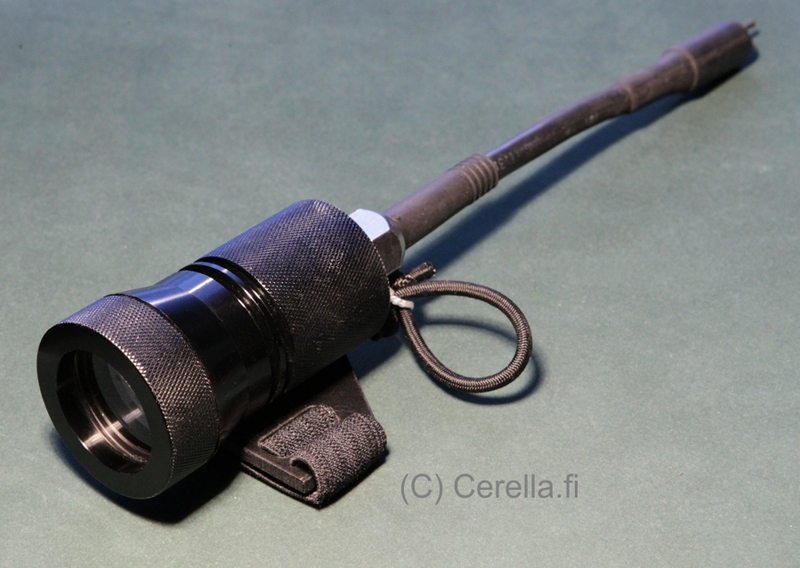 The light or two lights can be mounted on standard 1″ ball head arms (e.g. TLC arms) via a suitable adapter (e.g. the TLC general purpose light saddle adapter) resulting in a complete self-contained camera rig. Alternatively, the light(s) can be held by other dive team members. This produces more variety and depth in the footage and enhances contrast due to less backscatter from the immediate vicinity of the camera. An important benefit of LED technology is that it is less fragile than lamps with HID technology. Also the restart time is instantaneous. The light beam is wide and even without hotspots. The beam has a soft edge that fades away gracefully. This is very useful when using multiple lights either held on top of the camera or held manually by team members. 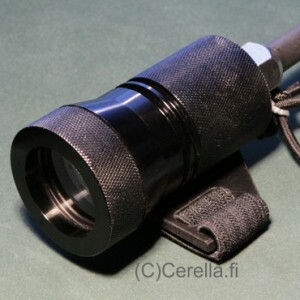 The light or several of them can be used to illuminate small and medium-sized caves, smaller underwater wrecks, underwater landscapes and similar scenery when ambient light is not sufficient for shooting purposes. Later you have the option of adding the Supernova Micro 80W LED Light Head to your gear because it is compatible with the same battery canisters. Cord with E/O connectors. You have the option to specify cord length. Otherwise the light is supplied with standard-length cords. It is possible to use the light continuously on for the full burn time due to protection circuits and water cooling technology. The light is manufactured by Northern Light Scuba Ltd, Finland. 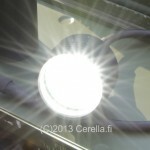 Be the first to review “NLS Supernova Micro - 30W LED Light Head” Click here to cancel reply.